Please join us as we celebrate the launch of The Life and Work of Thomas Karsten by Joost Coté and Hugh O’Neill, with contributions from Helen Ibbitson Jessup and Pauline K.M. van Roosmalen. The book will be launched by the highly respected architectural photographer and author, John Gollings. Thomas Karsten (1884–1945) was one of a small group of modern Dutch architects who developed their careers in the Dutch East Indies in the first half of the 20th century. Karsten’s achievements justify his inclusion amongst the best of pre-WW2 architects working in the new world but regrettably to date it has not received the international prominence it deserves. 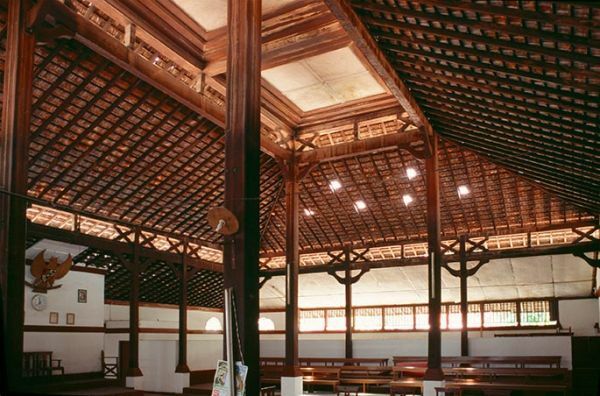 Karsten’s contributions to architecture and town planning were extraordinary, including a radical integration, utilising modern architectural and functional principles, of the colonial urban environment with Indonesian social and cultural elements. Both a biography and architectural history, this book pays tribute to Karsten’s work and legacy. Hugh O'Neill is an architect and Senior Fellow in the Faculty of Architecture, Building and Planning at the University of Melbourne, where, from 1962, he inaugurated and coordinated a course on Architecture of Societies of the Asian Region. In 2013 he received the degree Doctor of Architecture honoris causa at the University of Melbourne and became an Officer of the Order of Australia, for outstanding contributions at the national level to architectural education and for fostering Indonesian-Australian cultural relations for more than fifty years. Dr Joost Coté is Senior Research Fellow in the School of Philosophical, Historical and International Studies at Monash University, Melbourne, Australia, and previously Senior Lecturer at Deakin University, Melbourne. He completed a PhD at Monash University in 1998 on Dutch colonial discourse and has since published numerous articles on Dutch colonial policy and cultures, and more recently on questions of colonial modernity, urbanisation and heritage. Other recent publications include Kartini: The Complete Writings, (Monash, 2014), Cars, Conduits and Kampongs: The modernisation of the Indonesian city, 1920 – 1960 (co-edited with F. Colombijn) (Brill, 2015).